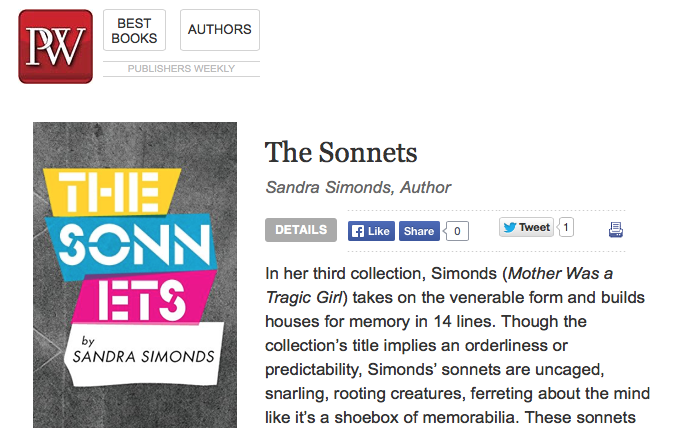 bloof books: news: A rave review for THE SONNETS! And of course you can get a copy from us here. Sandra's first book, Warsaw Bikini, is also available from Bloof.